Two very different beasts. 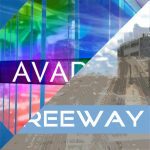 Avadon, a synth pop single designed to make people do one thing. Dance. And then we have Freeway–after you’re done grooving to Avadon, you’ll need to wind down to a light something, and this is it. A background swelling synth evokes the motion of the ocean, with a saxophone, trumpet, and light percussion filling in the spaces will bring your mind to another place, another time. A cheerful cinematic take on Christmas! Full of the warm fuzzies of the Holiday spirit, Christmas Cheer takes on the classics with all the might a grand orchestra can give them. 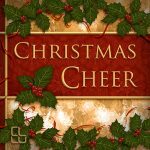 From the lilting mirth of Deck the Halls, to the icy tones of God Rest Ye Merry Gentlemen, you won’t want to celebrate another Christmas decorating without this album in the mix. An indie Christian album, full of life and heartfelt lyrics. Written by and co-composed with William Gragg. Produced by Calvary Baptist Church. 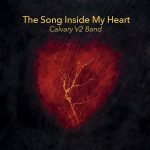 Mixed and mastered by Chad Courville, and performed by the Calvary V2 Band. 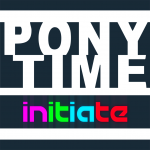 Whereas PonyTime: Initiate is a more fun-loving eclectic pop synth good-time, you’ll find Advance is hard hitting electro house and complextro. From the glitchy chords of Sweetie-Bot Breakdown to the crazy beat-break of Freedom of Pony, it’ll have you dancing in no time. If you enjoy the album, you can find it here on Bandcamp and can download it for free or support me by throwing a few bucks my way. Spliced vocals, pop synths, and many a catchy lead, this EP was beloved by many a MLP fan in the earlier days of the show. If you enjoy listening to upbeat electronic music, then this album is for you. A foray into the world of electronic music of a different sort, it combined fresh melodies with aural-candy sound design and non-conformative interesting beats. It’s available at most online stores, but especially here at CDBaby. 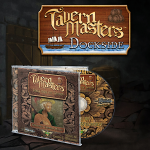 Dripping with atmosphere, this experience for the ears will help you find yourself sitting in your own tavern, listening to the minstrels playing while running the bar or relaxing at a table swilling ale. Can’t wait? 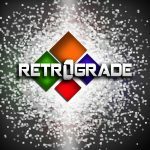 Preview three of the included tracks here! 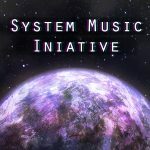 A distant cousin of the SC:AUS, the System Music Initiative is a musical backdrop for many of the destinations within Star Citizen. From the starting system Sol to the beautiful Goss, from the desolate Hades system to the backwaters of Nyx and more. For more info, you can find the original Star Citizen forum thread here. I’m often inspired by the wonderful games that come out each year, or of years past. Every now and then, to stretch my composing skills I’ll pick an upcoming or older game to write for as if I were the actual composer. 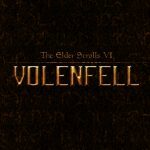 In some cases, such as the Booker DeWitt theme of mine or the Elder Scrolls VI – Volenfell theme, it gives me an understanding of more exactly how the original composers made their music. In others, such as the No Mans Sky: Unofficial Opening & Main Theme or the Last of Us unofficial theme, it gives me a solid framework of concept from which to work with and extends my compositional experience to a larger swath of genres. TL:DR? I often make awesome fan music for things. Keep apprised here. 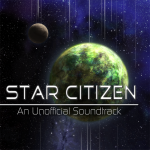 This is a fan-made soundtrack for the game Star Citizen. After creating a main theme and seeking out fellow composers across the globe, directing, debating, and consolidating ideas, we released 28 tracks full of “darkness, frantic beats, joyous melodies, and enemy factions.” The soundtrack won global acclaim from the various fans of Star Citizen, as well as two responses/spotlights from Cloud Imperium Games. For more information, go here or click on the album thumbnail! 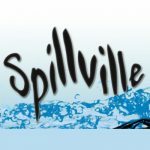 The soundtrack to the Xbox 360 game Spillville, which was an entry in the Microsoft sponsored 2012 US Imagine Cup. It won 4th place nationally in the Xbox/PC game design category.